All good things come to an end. 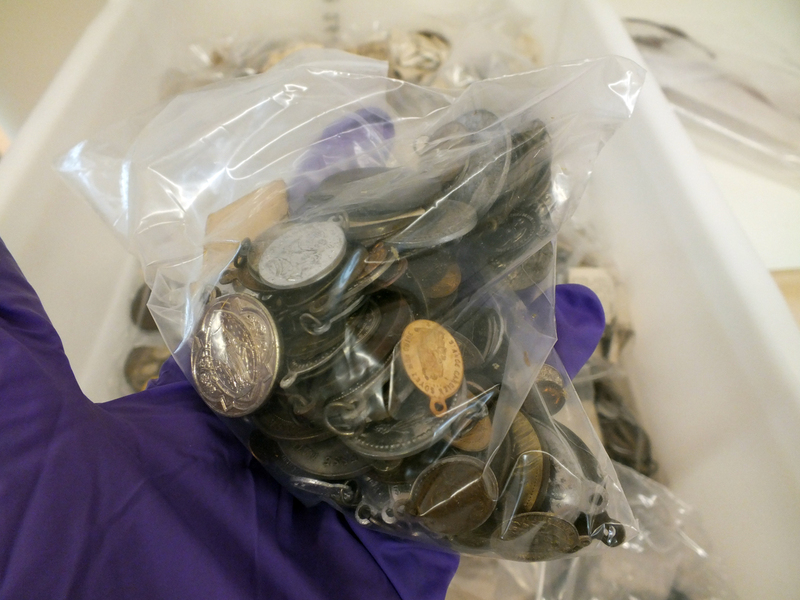 Last week the Small Blessings project came to its official close and we saw the departure of both amulets and people from the staff areas of the Museum. 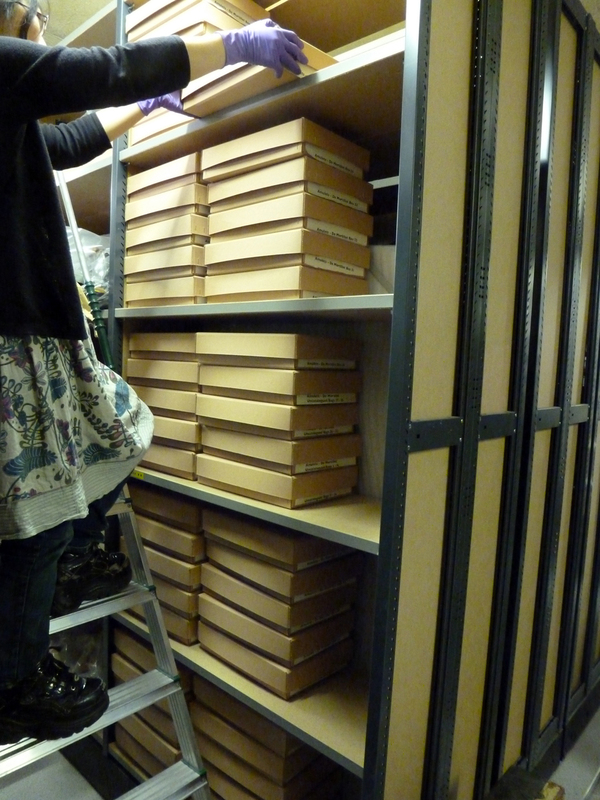 Over the past seven months, more than 3000 objects have been physically numbered, catalogued and photographed. What an achievement! But de Mortillet was no slouch when it came to collecting and there remains a large number of religious 'medals' or tokens that will be processed in due course. 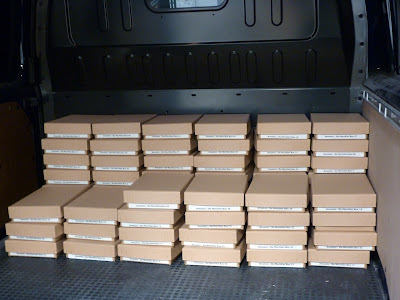 Meanwhile, the catalogued amulets have been repackaged and boxed up, ready to return to the stores. Originally they were in huge, old-fashioned trunks but with much more economic and organised packing, they are now contained within slimmer archival boxes which take up much less valuable space on our very crowded shelves! Each amulet has been given a location (a box and shelf number) so will be easy to find should we need to retrieve it for display purposes or a visiting researcher.